One in ten American firms will face an employee lawsuit this year: taking decisive action to avoid unnecessary legal risk is essential for companies of every size. In this post, we’ll explore steps that you can take right now to protect your firm’s interests and help your employees. A well-educated workforce is your best defense against internal legal vulnerabilities. From sexual harassment to workplace compensation, staff members whom are well aware of current federal, state, and local employment regulations are more likely to be vigilant in maintaining and (encouraging colleagues to continue) compliance. Employees unaware of federal “whistleblower” protections may increase company risk. If employees who witness employee behavior or regulatory violations that may put your firm at legal risk are afraid to speak up for fear of colleague reprisals, your company may suffer in the long term. When your staff fails to identify and report incidents of company risk, your company loses one of its best defenses against internal legal vulnerabilities. Only educational testing can identify employees at risk of triggering tortious liabilities. While “tortious” is a legal term that your lawyer might use to describe intentional, wrongful behavior on the part of an employee or an employer, it has a simple meaning: inappropriate behavior. As an employer, your best line of defense in preventing employee actions that may trigger litigation is a solid employee assessment strategy. The creation of educational interventions for employees who may potentially be the victims or perpetrators of tortious behaviors must be done with extreme care. Employee risk assessment via a learning management system allows you to provide customized learning experiences that help promote employee compliance and identify your company’s class action lawsuit risk. 1. Is my employee risk assessment strategy responsive or proactive? Your company can’t afford to wait until an overlooked employee or client complaint becomes a threatened lawsuit to audit your firm’s compliance practices. It is critical that you develop a long-term litigation avoidance strategy by preparing your staff to note and end tortious or ambiguous behaviors that may lead to litigation before they lead to a costly lawsuit. Review your past and current approach to employee risk assessment for “reactive” rather than proactive strategy. Identify areas within your company’s field of influence where your firm or its employees may be potentially subject to (or the catalyst of) litigation and determine if you have educated your team on their respective roles in risk management. 2. Do I have a detailed, current portrait of potential internal litigation risks? While the topic is broad, the steps that you can take to minimize class action lawsuit risks are clear: identify employee archetypes and commercial or interpersonal situations which may increase your firm’s risk of becoming the subject of a class-action lawsuit. That means you will need to conduct an audit of high-risk processes like customer service complaint resolution and vendor relations management, as well as employee harassment policies and any pending or unresolved human resources management complaints. At each stage of your audit, bear in mind the central role of a comprehensive, ongoing educational strategy to make sure that your employees at every level are aware of their rights and responsibilities under company policy. 3. 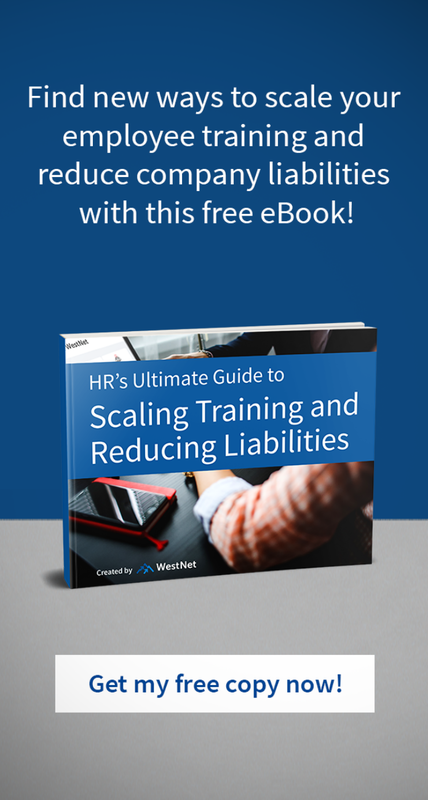 Are my employees consistently held accountable for their compliance knowledge and practices? If you’ve look back at being a child, you know that constant nagging is the best way to get someone to ignore critical information. As an employer, you don’t want to risk your employees tossing out a flyer or deleting an email that may help your firm stay out of court in the future. An immersive, self-paced educational experience, however, can be an effective way to get important compliance concepts to “stick” in the minds of your employees. Like a great movie, a top-flight self-directed learning process pulls your learner in and engages, making key ideas tangible and memorable. A robust LMS will also allow you to consistently assess employee knowledge retention, empowering you to review at-risk employee’s learning styles and educational outcomes over time. With ongoing compliance education and integrated employee assessments, you and your employees will be able to identify areas where they must improve their comprehension of risk management. Employee education doesn’t just help you avoid class action lawsuits, it’s also the law. Employee training is also an essential component of federal regulatory compliance. Most employers are required to ensure that their employees are aware of specific health and safety regulations, as well as employee rights and responsibilities under federal equal opportunity regulations. Maintaining employee compliance practices and monitoring risk management competence is best achieved through a streamlined educational program that simplifies employee assessment. A powerful LMS will allow you to document your compliance education efforts over time as well as identify those employees who may be at risk of engaging in potentially tortious behavior. WestNet Learning provides the tools companies need to create a culture of positive risk management. Our LMS offers you all of the tools that you need to seamlessly protect your company’s future and maintain your employees’ compliance competency. The creation of an employee education program on employment and health and safety laws is a core requirement for federal regulatory compliance for most companies. Even if you are already actively engaged in the development of a continuing education program for your employees, you can save time and effort by switching to an enterprise-grade LMS. Your executive, managerial, and general staff should be aware of their rights and responsibilities under current federal law. The use of an LMS is the best way to educate all of your employees about their legal and contractual obligations at once. Company policy and indemnification status should be repeatedly taught and reinforced through continuing education. Our LMS offers comprehensive training that can be easily adapted to the specific learning styles of your employees. Companies with poor internal communication policies and limited employee education practices are vulnerable to class action suits. Litigation avoidance is something that you simply cannot leave to chance. Employee assessment over time is essential for companies desiring to ensure employee risk management compliance. The use of a platform that offers simple, engaging, self-directed learning is an effective approach to promoting policy knowledge retention among employees. It’s time to close the door on manageable risk. For decades, WestNet Learning has supported firms in developing extensive risk management educational programming. We provide a comprehensive educational platform that makes employee education and assessment seamless. We provide ongoing support that ensures that firms always have access to the latest educational tools for their training initiatives. WestNet Learning is an all-in-one, LMS solution to help growth and safety needs. Customized eCourses, analytics, reporting, and certifications help management & staff stay on top of what matters most. Ready to protect your firm against the unexpected? Schedule a 1-on-1 walkthrough with one of our specialists today and see how you can avoid class actions through employee risk assessment!